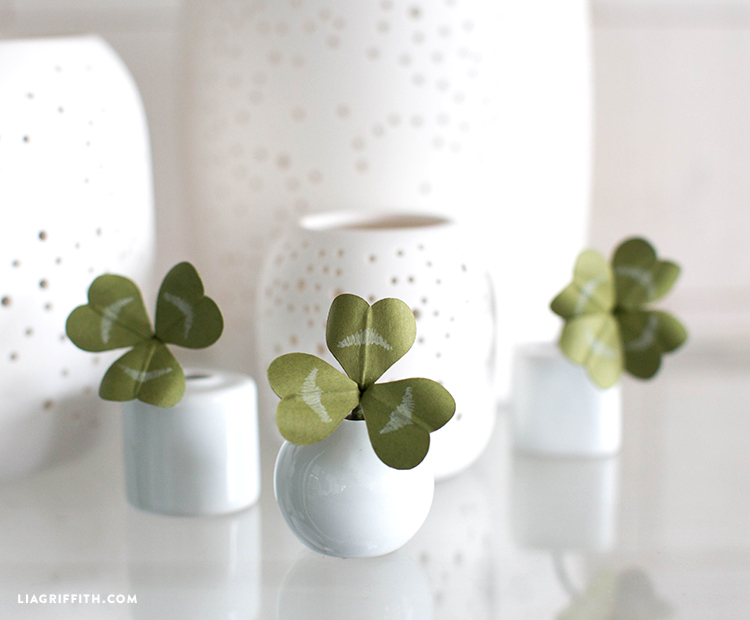 These adorable potted paper clovers are super simple to make. We’ve included both PDF and SVG cut files for this project so you can resize the templates if you wish to make your clover larger or leave it cute and small. Feel free to mix up the number of leaves in your clovers as well. 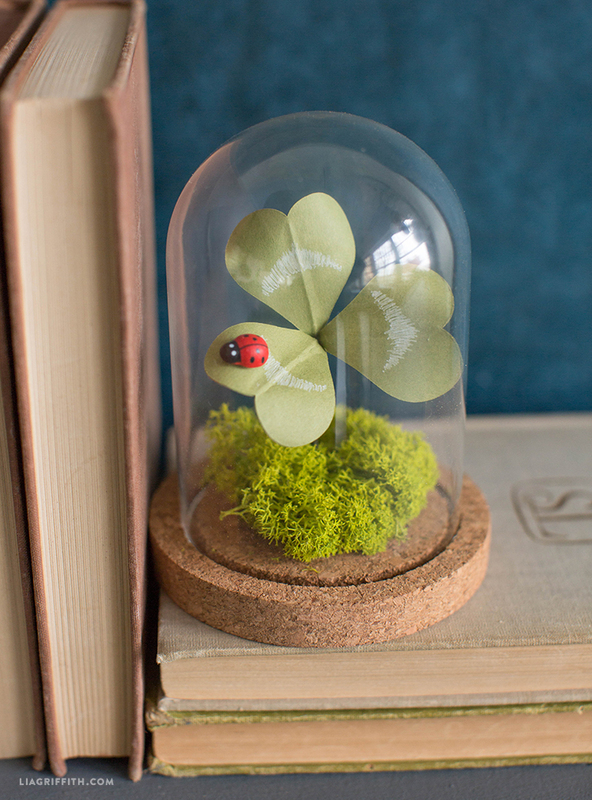 Hide them around the house for a fun game for your little leprechauns; whoever finds the 4 leaf clover wins a prize! 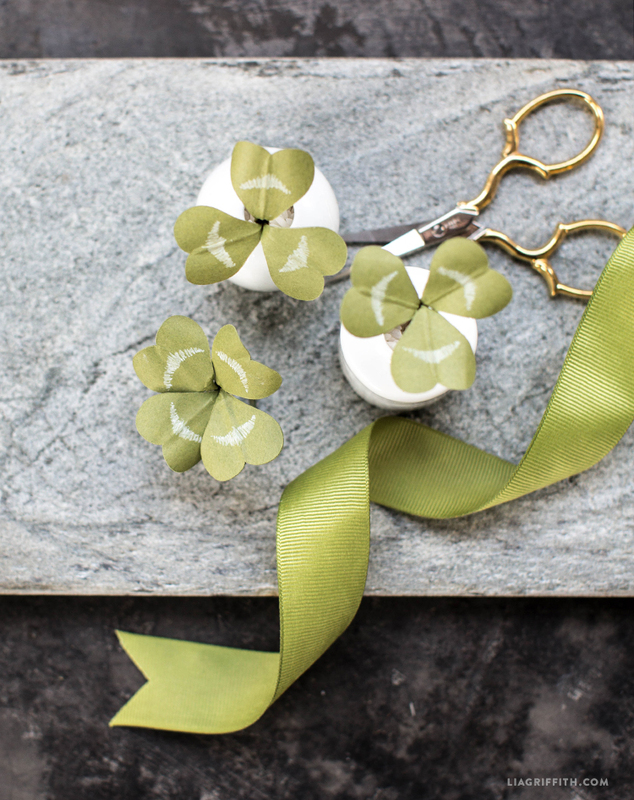 Start your St. Patrick’s Day fun by gathering the tools and materials and following along with our steps below. Cut out leaves from the text-weight paper. Cut double the amount of how many leaves you want (e.g. if you are making a 3-leaf clover, cut 6 leaves total). Draw on details with a white gel pen for the tops of the leaves. Cut pieces of wire about 4” long. Fold the non-drawn on leaves in half and glue the wires down the middle (the crease will help center the wires). 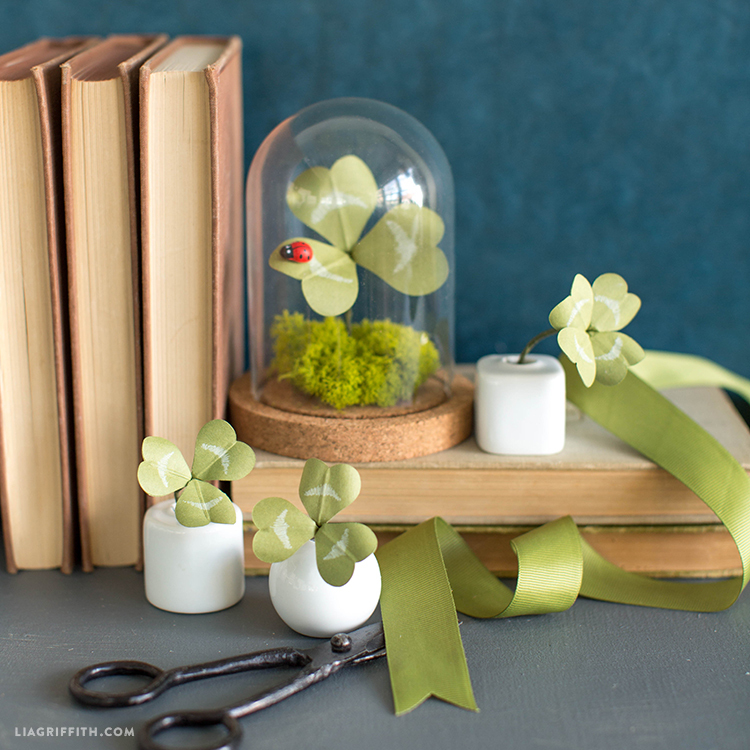 Apply tacky glue to the leaves using a small flat paintbrush. Attach the drawn-on layer on top. Let dry. Bend the base of the leaves slightly. Pinch all the leaves together at the base. Wrap the wires together using matching floral tape. Gently curl the edges of the leaves under to shape. 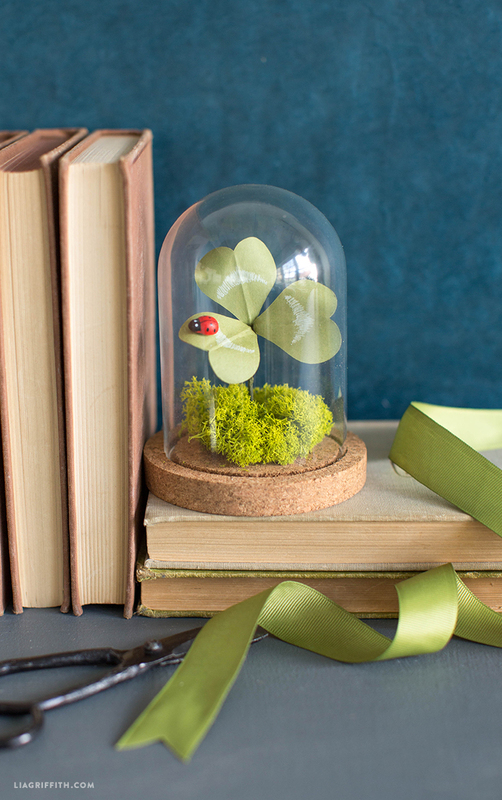 Bend the wire and stick the clover into a bud vase. Where did you get the adorable lady bug? Can you share where you purchased the glass cloche shown in the images? Could this project be cut out of ribbon or material on a machine ? Would there be any way to keep it from fraying ? Probably a whole nother post but it made me think of button hole flowers for St. Patrick’s Day . Great game idea and project . Hi! I’m not sure about ribbon, but fabric might work… Not sure about the fray. Felt would be a good option!